Welcome to Touching the Void. Welcome to TouchingTheVoid.com, the web site for Joe Simpson, mountaineer, author, conference speaker and the subject of the BAFTA Award winning film “ Touching the Void “. WALKING THE WRONG SIDE OF THE GRASS on Kindle. 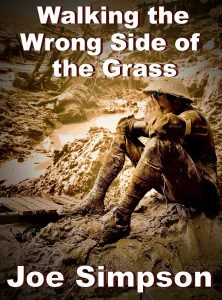 EDITOR’S NOTE – If you appreciated Peter Jackson’s film, “They Shall Not Grow Old”, I think you will love this book. If you would like to book Joe Simpson as a motivational speaker please contact Parliament Speakers Bureau.